Kathleen Leopold and I met online nearly four years ago. In that time, we’ve written lots of posts together, including fictional best friends Thelma and Louise, and started online communities, trying to bring parents and autistic individuals together in an open, supportive dialogue. 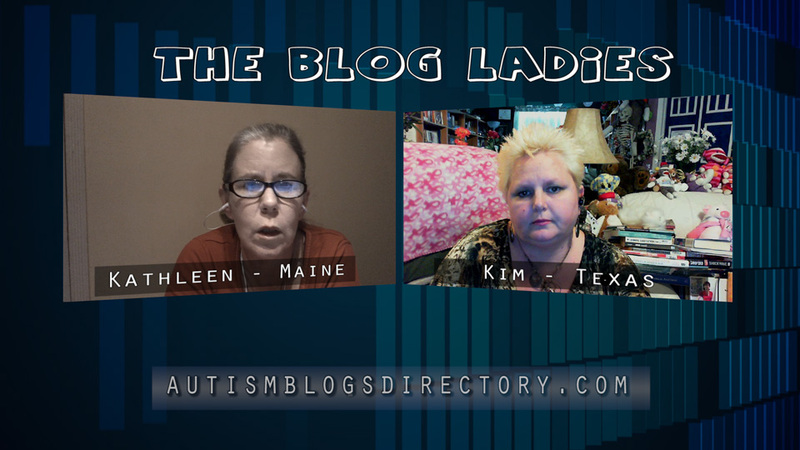 We’re most proud, I think, of the Autism Blogs Directory, which is going on three years old. It is a collection of over 1,000 bloggers, websites, and forums that spans not only the autism spectrum but other disabilities, as well. We think that the best way to make our way through life is by having a large support group, the bigger the better, so we try to make the Autism Blogs Directory a place that anyone can find others like them. With seven children between us, and six of them on the spectrum, Kathleen and I are involved in autism in a very real sense, but autism is not our lives. Our kids are kids, and we do our best to make sure that this is how they see themselves: as kids first. We’re thrilled to have a community around us that understands our kids and their strengths and weaknesses, and on very good days, to look around the online autism community and realize that we are not alone. While the directory is our joint endeavor, we both blog individually. Kathleen can be found at Herd, and I can be found at Countering and Science 2.0. We’ve received a great number of positive comments from people listening to the NPR/WNYC On The Media show, and it has only just begun. We think it is an excellent show, and were proud to be profiled on it. Today we watched our hits slowly travel from right to left on the geo-map of our web requests that followed the time zones. Sunday is the most popular day for NPR affiliates to carry On The Media so we expect our numbers to grow exponentially at this point. Some affiliates even broadcast it next week. When you see me on I Am Autistic here on The Autism Channel, I’d like to think you see me as well-behaved. I try not to cut guests off. I avoid looking down at my feet, or up at the lights. And if I ever had a terribly boring guest—not that I have, of course—I would never dream of sighing, rolling my eyes, and playing with my phone. I have a pretty good idea of what to do and what not to do. Too much of this, I’m afraid, I had to learn the hard way: scoldings from teachers, punishments from parents, and that discomfort that you carry every day when you realize you still haven’t mastered all the pesky details of being a social human being. It’s one way to learn the rules, I suppose, but it certainly can’t be the best. Jennifer Cook O’Toole has written the book I sorely could have used growing up: The Asperkid’s Secret Book of Social Rules. Not only being on the spectrum herself, but raising a family of five where everyone is part of the “Asperfamily,” Ms. O’Toole is uniquely experienced in identifying areas where people with Asperger’s can use some improvement. The book is a guide to refining the physical, mental, and interpersonal quirks that make us who we are, but also make us stand out in the wrong way. These life lessons are presented in Ms. O’Toole’s unique voice: friendly but authoritative, having lived as something of an “Asperger’s spy” among people off the spectrum, now reporting back to us for our benefit. The visual presentation of a book meant to reach out to young adults—such as this one—can be pretty dicey for an author and publisher. A dry, no-frills affair will alienate a great deal of readers who need more than just words on paper to really absorb a book. At the same time, one cannot reach out too far, either: cutesy illustrations and over-the-top youth-culture imagery are a turnoff to kids who can read a book just fine, thanks, and don’t need to be condescended to by grown-ups in order to do so. I’ll never forget being assigned the youth-oriented spinoff of the old self-help book The 7 Habits of Highly Effective People, self-evidently entitled The 7 Habits of Highly Effective Teens. The front cover featured those blue jeans that the kids wear, so we would know right away that unlike its counterpart, this rap session would really be hip and with it. Fortunately, Ms. O’Toole and illustrator Brian Bojanowski hit this one right down the middle, starting with the front cover. The mottled black and white of the classic composition book is a time-honored image of reflection and expression, something that will slide in nicely on any teen’s bookshelf. And even though I’m well aware that I’ve just engaged in the forbidden act of judging books by their covers, this stuff does matter. Within, Mr. Bojanowski’s illustrations complement the text, rather than distract. Ms. O’Toole distills every chapter down to its “need-to-knows,” a collection of rules and lessons ranging from universal truths like “everything is hard before it becomes easy” to autism-specific advice like “neurotypicals expect us to grasp the gestalt,” and this is where everyone gets huge credit for not overdoing it. Set in big loopy letters beneath cats or nature scenes, “everything is hard before it becomes easy” is the sort of banal platitude you’d find tacked to the wall of any public school classroom, and if you’re a kid on the spectrum in dire need of social guidance, that classroom is probably not what we’d call your “happy place.” But here, in black and white, from someone who can write to young adults without talking down to them, it comes off not as empty classroom dressing, but as a succinct piece of wisdom worth holding on to. A couple things here. Conversation is an art. Maybe I can’t make a masterpiece myself, but I can appreciate them when I see them. And in the hands of someone on the spectrum, I’m not always sure something as nuanced as reflective listening can avoid being paint-by-numbers. Consider that there are still people out there—people who aren’t on the spectrum—who can’t demonstrate their engagement without sounding rigid and by-the-book. This is advanced stuff. There’s also the reality that a young adult on the spectrum is going to wind up doing a lot of interacting with like-minded folks. Now, I don’t know if it’s part of a greater Asperger’s worldview, part of my working alongside glad-handing sales departments, or both, but I feel that I’ve honed a pretty keen sense of when there’s a “strategic” aspect to a dialogue: when you’re that “on,” what are you selling me? Goods? Services? Or just yourself? I fear that contrary to the best intentions, this approach can be off-putting and agitating to a listener on the spectrum, eventually leaving both parties ill at ease. Nevertheless, The Asperkid’s Secret Book of Social Rules is one secret that needs to be shared with the entire class. The lessons in this book will prove critical for kids with Asperger’s, and may even be a worthy refresher for the rest of the family, too. It can be a mean world out there for people like us, and a book like this will go a long way in helping us navigate it. It’s a regret of mine that I came along too early to benefit fully from the many helpful lessons contained in this book. I hope that you and your family can. If you are so inclined, you may purchase a copy of the book here. WNYC/NPR is now streaming their 12+ minute piece all about The Autism Channel. You can hear it here. We’re only about 3 months old, and the website portion of what we offer is new, and being developed this weekend. So bear with us, as we tell our story on the web. We’ve been an active channel on Roku since September, and we have a lot of content available there. Over the next few days we’ll be describing that content more fully on our main website and adding additional resources here.